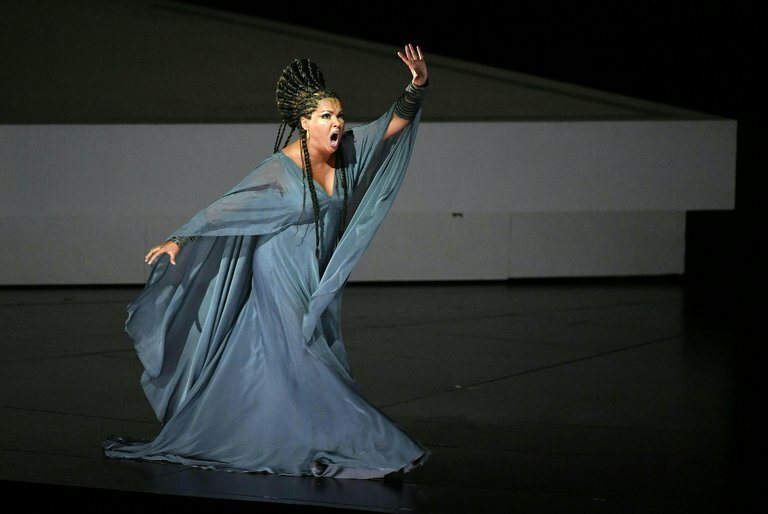 Verdi's Aida is this year's hit at the Salzburg Festival I am behind schedule but have managed to find a view of this great occasion: Aida, Netrebko and Muti collide. The production by Iranian Sharin Neshat seems to ask the question "What if Ancient Egypt were a modern middle-eastern country?" I am loving the simple look after too many years of over-detailed productions. Aida's look for the first half, seen above, doesn't remind me of anything. The priests all look the way priests look in Iran. They're called Imams, I know. Amneris tells Radames to return victorious. Aida sings yes, "return victorious over my father." Then we go to the chamber of Amneris. Time has passed, and Radames has gone off to war. At this point guys come out in what look like bull skulls and do the dance normally done by Amneris' attendants. What is that about? They are on stage for only a couple of minutes. Amneris and her women return and they split. Curious. There follows a scene between Amneris and Aida when Amneris tricks Aida into revealing she loves Radames. Amneris reminds Aida that she is only a slave. Aida prays for the gods to take pity. So far I like very much the simple clarity of the scenes. The main characters are clearly delineated and never disappear into the crowd. I like the way Netrebko is dressed. Radames has returned and is enjoying a triumphal entrance such as he might have expected in Rome. I am enjoying the division of everyone into the priestly and military/ civilian classes. One does enjoy clarity. Now if one only knew what the guys in bull skulls were for. They're back. The stage rotates and we see the African prisoners made up with white lines down their faces. Radames returns and is given the wreath of triumph, still very much like a Roman triumph, but then why not? Aida doesn't crack a smile until she sees her father and runs to him. 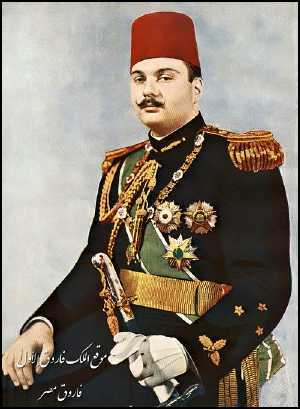 He is the Ethiopian king but pretends that the king has died. In the second half Aida has changed her appearance to look more like the other Ethiopians, even including the white line. On the banks of the Nile she sings of the loss of her country. Wonderful aria, wonderful rendition. Father comes in, then Radames. Aida and Radames plan how they will escape the powerful Amneris. Radames tells a military secret, Aida's father hears and declares that he is king Amonasro. Radames realizes he is now a traitor, they start to escape until Amneris enters with her priests. The plot is all here in these few minutes. This is a single set production that functions well for the various scenes. In this opera everyone messes up. I like very much that the costumes clearly identify the status of each character. Priests look like priests. Soldiers look like soldiers. I have a vague idea of ancient Egyptian clothing, but would not know which people are which. Ethiopians all have white lines on their foreheads. Radames says he will not be with Amneris if he can't have Aida. They are doomed. I am enjoying this opera a lot more than I usually do. Ekaterina Semenchuk is excellent. I sometimes think Amneris is the main character. She messes up everyone's lives, including her own. Meli does the best I've heard him. But the fuss is for Netrebko. The best music is at the end. O terra addio. Love to all.